“Coley Porter Bell has created new designs and an authentic new positioning for Pernod Ricard’s premium tequila Olmeca Altos to help it to operate as a standalone brand for the first time. The new bottles were launched in the US this month and are being rolled out to other markets round the world. The brief was to distinguish Olmeca Altos from the rest of the Olmeca range by creating an appealing personality for the brand, while making the bottle easier for bartenders to handle. The original Altos bottle designed by CPB in 2010, was created as a premium sub brand of Olmeca and had a close visual relationship to the parent brand. The new positioning is aimed at attracting sophisticated creative young urban drinkers. The design itself is deliberately minimal, featuring clear hammered glass with the branding embossed onto the glass itself. 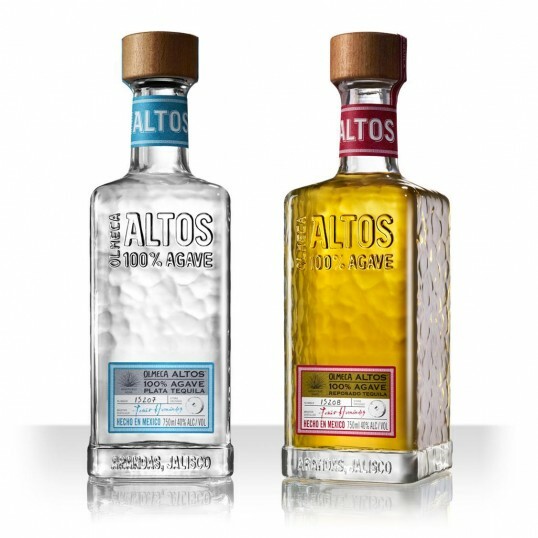 “Altos needed to play up its authenticity whilst also highlighting the taste of the product, making drinking Altos more about enjoyment and discernment than shooters and partying, “ explained CPB creative director Stuart Humm.